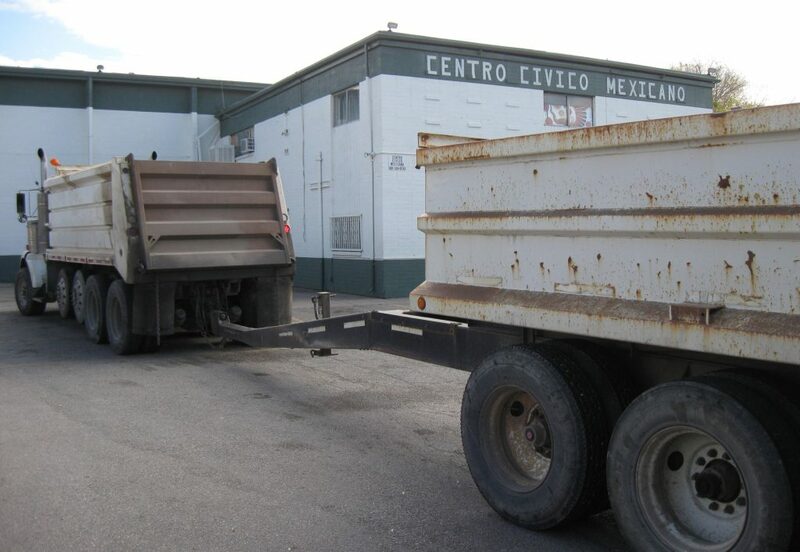 Environmental cleanup crews working at the Centro Civico Mexicano in Salt Lake City. In a scene from a Tonka Truck’s wildest dreams, dump trucks, backhoes and graders dug load after load of earth out from around a green-and-white building located west of Salt Lake City’s downtown. When the work finally stopped, the machines had moved more than 4,000 yards of dirt. All this activity wasn’t a toy’s fantasy. Instead, it was a project to rehabilitate a tract of land owned by Centro Cívico Mexicano. After more than two years of work, the Utah Department of Environmental Quality’s Division of Environmental Response and Remediation has issued a No Further Action Letter for the land. This means that the site no longer poses any significant risks to human health and a once-blighted property can return to economic viability. Getting to the point where the land could be used for new development, however, required DEQ employees to solve problems, actively engage stakeholders, and address public concerns with a professional and fair approach. More than 4,000 yards of dirt were removed from the site. Centro Cívico started in 1935 to promote unity and collaboration among Salt Lake City’s various Hispanic communities. In recent years, the group had operated out of an old west-side industrial space. In 2016, the non-profit hatched plans to redevelop its parcel. The vision was for a new space with a multipurpose theater, gym, soccer facility, classrooms, day-care center, and 60 affordable housing units for seniors. As the Centro Cívico board finalized its plans, a problem bubbled up. During a preliminary environmental assessment, the developer discovered polycyclic aromatic hydrocarbons in the soil. The plot had a long history of commercial and industrial activities similar to the surrounding area. The polycyclic aromatic hydrocarbons probably ended up there as a result. Industrial or commercial sites where future use is affected by environmental contamination are called Brownfields. The term is defined by the federal Comprehensive Environmental Response, Compensation, and Liability Act and incorporated in the Hazardous Substances Mitigation Act. 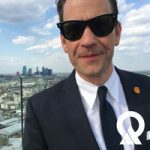 Basically, the perception of contamination becomes a scarlet letter on a piece of real estate unless it is cleaned up. The cleanup was funded through grants and low-interest loan assistance. The Centro Cívico’s board took its problem to DEQ’s Division of Environmental Response and Remediation (DERR). To help Centro Cívico move forward, DERR officials stepped up with a solution. First, DERR helped the board with funding options for the characterizing the property. DERR’s engineers helped Centro Cívico apply for Targeted Brownfield Assessment (TBA) through the Environmental Protection Agency (EPA). TBAs are a tool to conduct investigation and sampling at qualified properties at no expense to the applicant. 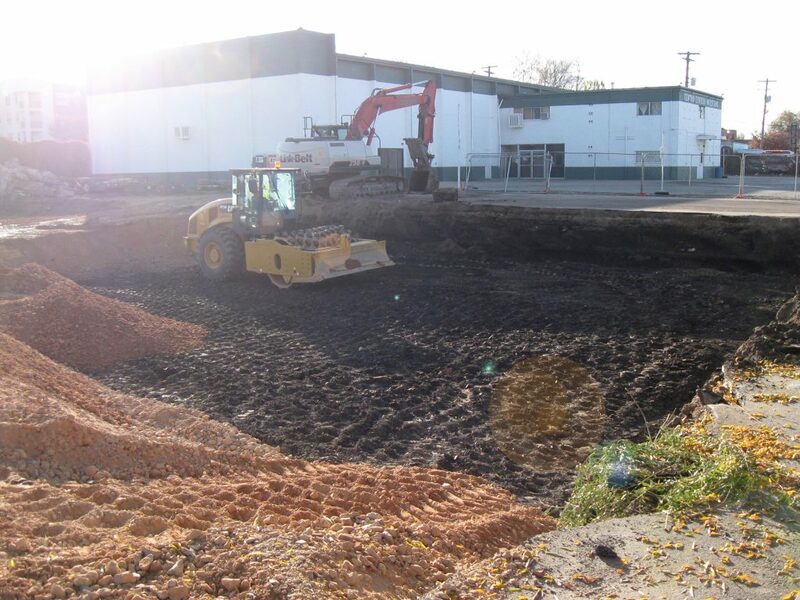 With the extent of contamination understood, Centro Cívico was able to look at various cleanup options for their property and DERR helped Centro Cívico apply for a Brownfields Cleanup Grant from EPA. These national, annual grants are competitive and Centro Cívico was successful in securing $200,000 in funding from the federal government. Next, Centro Cívico’s project entered DEQ’s Voluntary Cleanup Program (VCP). The Voluntary Cleanup Program was created in 1997 as a way to clean up sites that may not otherwise have viable regulatory cleanup options. DERR has overseen numerous cleanups under the program, including the nearby Salt Lake City Intermodal Hub and Alta Gateway sites. Then, DERR connected Centro Cívico with a low interest loan from the Wasatch Front Brownfield Coalition (WFBC) revolving fund. The Wasatch Front Brownfield Coalition administers a revolving loan fund (the result of an EPA Brownfields Revolving Loan Fund Grant application that DERR had assisted the WFBC with several years earlier) and offers various financing products to eligible groups looking to redevelop a qualified brownfield sites. The borrower must own the brownfield site and cannot be responsible for the contamination. 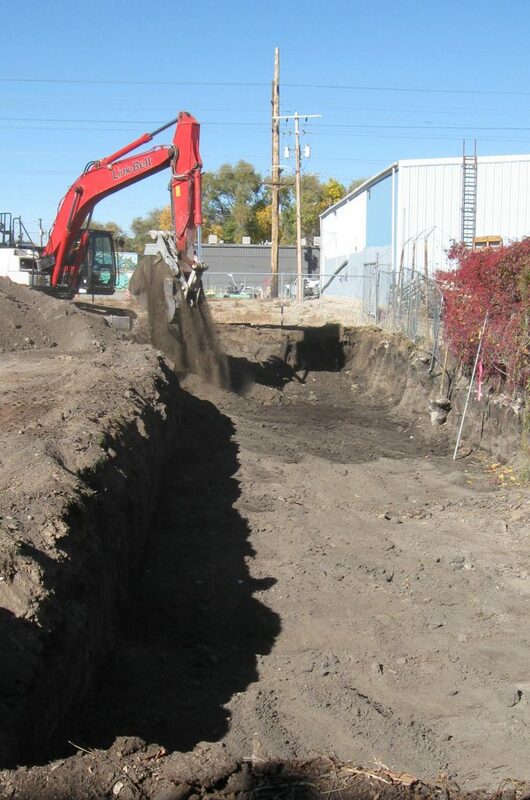 The Wasatch Brownfield Coalition also requires that the site is cleaned up according to EPA standards and that the project is part of the Utah’s Voluntary Cleanup Program. With funding in place, the cleanup started. Although the cleanup at the Centro Cívico seems pretty straightforward, navigating a solution like this one isn’t. Even experienced land developers are often scared and confused when they discover a piece of land they own is contaminated. Tools like the Voluntary Cleanup Program, Targeted Brownfield Grants, and the Wasatch Brownfield Coalition revolving fund are just some of the ways DEQ’s Division of Environmental Response and Remediation are working to safeguard Utah’s land and help groups like Centro Cívico achieve their dreams. I am a public information officer for Utah DEQ and a former marketer and magazine editor. Follow me on Instagram @Jarv801.